Measurements of broadband solar (or shortwave, SW) and infrared (or longwave, LW) downward irradiance started at Thule on January 2009 by means of an Eppley Precision Spectral Pyranometers (PSP) and Precision Infrared Pyranometer (PIR), respectively. The PSP (Fig. 1) is a WMO First Class Radiometer: the sensor is a thermopile covered by a pair of removable hemispheres of Schott optical glass, transparent to radiation between 0.285 to 2.8µm. 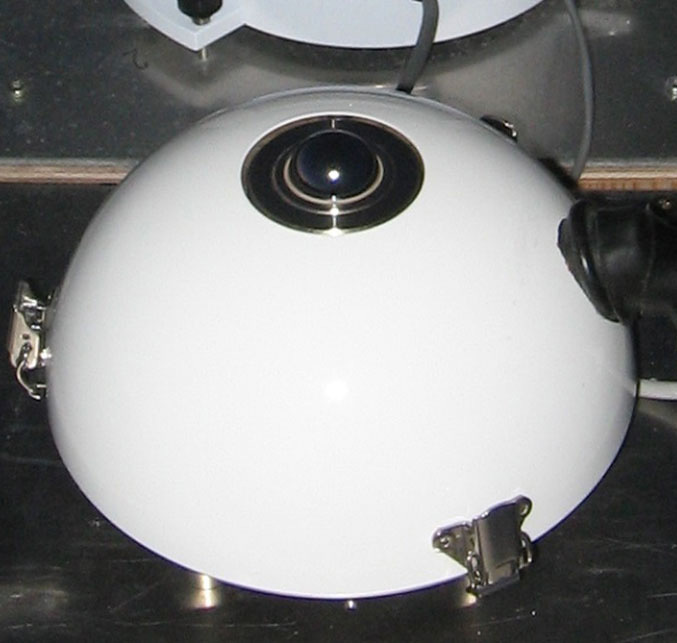 The PIR (Fig.2) is designed to measure broadband infrared radiation, constituted by a thermopile detector covered by a silicon dome with a vacuum deposited filter transmitting only radiation in the 3.5-50 µm range. The sensor measurement is corrected by the body and the dome thermal emissions: for this purpose a case and a dome thermistors are provided. The sensitivity of both instruments is provided to change within ±1% from -20 to +40 °C. The filed of view is 180°. In February 2013 the Kipp&Zonen CGR4 pyrgeometer (Fig. 3) was installed next to the PIR. The CGR4 model has a thermopile sensor covered by a meniscus silicon dome coated by hard-carbon on the outside and by a solar blind interference filter on the inside, transmitting only radiation between 4.5 and 42 µm. The window heating effect is very low compared to the other pyrgeometers, thus eliminating the need for compensation by using the correction formula and dome temperature sensors. 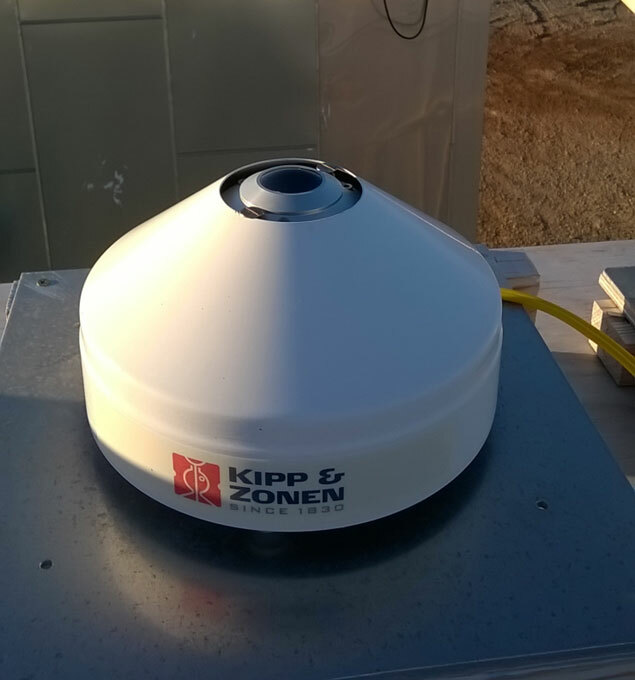 The CGR4 pyrgeometer sn 120550 installed at Thule is supplied with the temperature dependence of the sensitivity characterized down to -40 °C, thus allowing accurate LW irradiance measurements in the arctic environment. All radiometers are ventilated to prevent formation of dew/ice on the dome. The radiometers were calibrated before the installation and successively compared with freshly calibrated instruments on site (Fig. 4). Fig. 4 Comparison of the downward longwave irradiance measured during the SVAAP campaign in 2016 by the CGR4 sn 120550 calibrated in 2012 and the CGR4 sn 140023 with the 2014 calibration. 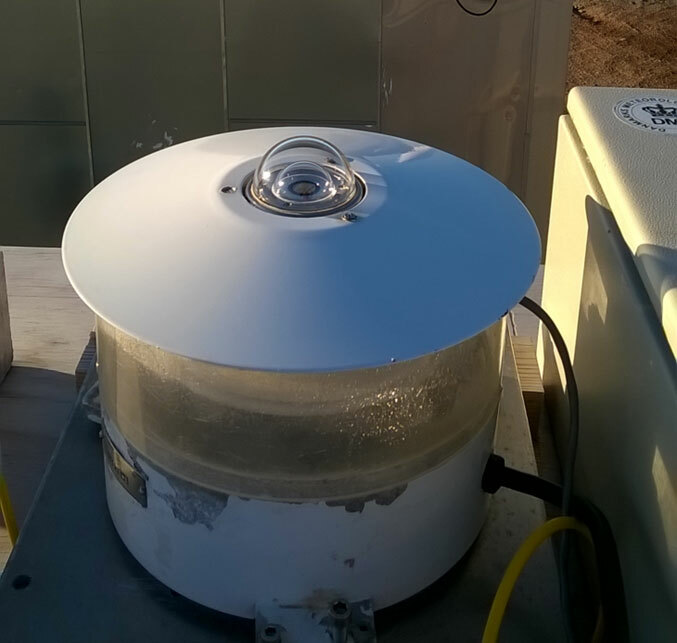 During the July 2016 SVAAP campaign a LICOR PAR (photosynthetically active radiation) sensor (model LI-190/R) was installed to measure downward irradiance in the 400-700 nm spectral interval. Moreover downward-looking radiometers were installed about 2 m above the surface to collect the upward component of the PAR, solar, and infrared radiation (Fig. 5).